My two grandsons Jeremiah and Julius split their time between my home and their other grandmothers. When they are here with me it's important that both boys have everything they need to be comfortable, happy and at home. Very importantly to have for them is a car seat, which would normally be two car seats because of the age difference, but with the Evenflo Symphony LX Platinum All-in-One Convertible Car Seat, both boys are able to use it. The Evenflo Symphony LX can be used for children from 5-110 pounds and is both a rear and front facing seat that also turns into a booster chair when they are at least 4 years old. This is a car seat that grows with each child, which means that this might be the only one we ever have to have for them. 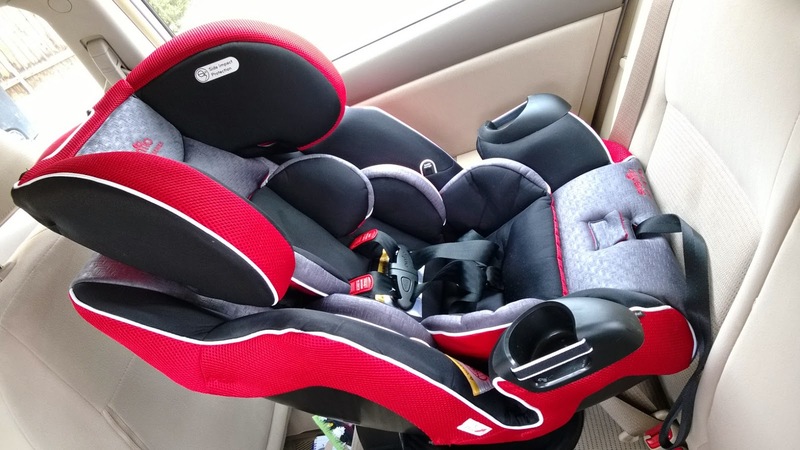 This is where the price of the car seat becomes a great value. I know that when we think about car seats for our very special little people, we care more about safety, features and comfort. But if you are like me, you also look at the style and design of the seat right? Just like you would a stroller. Well the Evenflo Symphony LX Platinum All-in-One Convertible Car Seat is a big, gorgeous chair that looks really modern and stylish. Everyone who has seen the car seat when we are getting ready to put Julius in the car comments on how roomy, padded and good looking it is. And talk about a comfortable and peaceful ride! Did you know that distracted moms are 300% more likely to get into an accident? Evenflo believes that a peaceful ride is a safe ride and the Evenflo Symphony LX has so many features to make baby comfortable so that they fuss less and mom can pay attention to her driving. 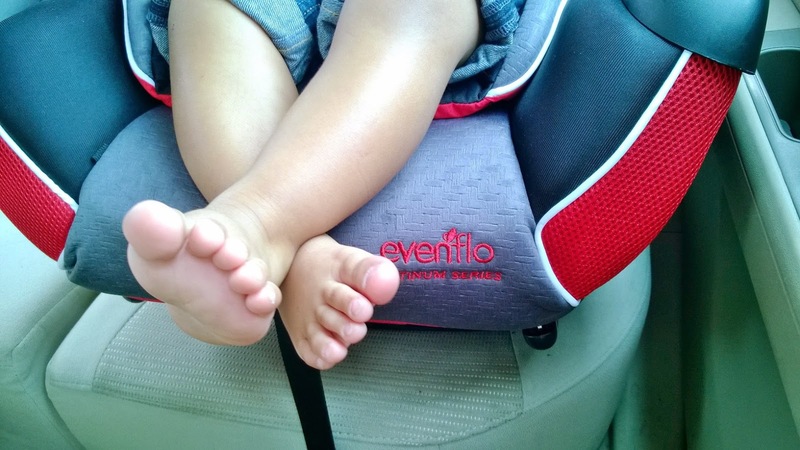 While car seat innovation is mostly focused on minimmizing the impact of accidents, Evenflo has focused on helping to prevent accidents caused by fussy babies distracting the driver. We've all been there. The baby is hot and sweaty and wants out of that car seat right away, and we keep having to take our eyes off the road to placate them. Not safe at all. Evenflo is taking safety and comfort to the next level with launch of Platinum Protection Series car seats which feature NASA-developed Outlast™ Performance Fabrics. This is one of the most important features for me because we live in a town that has both a very drastic summer and winter. The Outlast Fabric absorbs hot and cold temperature, releasing it as needed to keep baby either cool or warm. With the 110+ temps that arrive here in the summer, this will make a huge difference in how comfortable the boys are. Something else that we are already facing is hot buckle burns, which are no fun. The Evenflo Symphony LX offers Buckle Pockets that protect from hot buckle burns and eliminate digging under your child for lost buckles. Seriously, this is something that car manufacturers should start looking into, no one like a hot buckle burn. When my two beautiful boys are with me, I want them to be comfortable and safe. The Evenflo Symphony LX car seat is like a little captains chair full of features to keep them safe (2X the Federal Crash Test Standard and e3 Side Impact Protection) and sound and in ultimate comfort. Which is your favorite feature of the Evenflo Symphony LX?